Are you an individual who can remain calm in emergency situations? As part of the agency, the Florida Highway Patrol powerfully protects and serves all who travel Florida’s roads, whether by dealing with people who break the law or by assisting victims of natural disasters who are evacuating their homes in times of crisis. 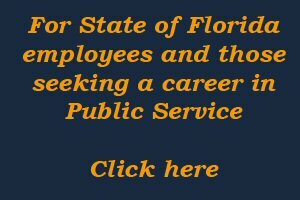 If you’re ready to make a difference in your community and in your life, join Florida’s Finest: The Florida Highway Patrol as a Law Enforcement Communications Officer/Dispatcher (Regional Duty Officer). It is the nature of the job that, at any time, an emergency call will require your full immediate attention and response. 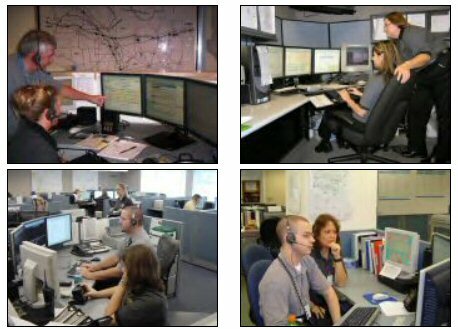 Regional Duty Officers are the vital link between the public and law enforcement and are also known as dispatchers. The work is crucial to maintaining public safety. The job entails working 40 hours per week, rotating days and shifts covering weekdays, weekends and holidays to provide coverage 24 hours per day, 7 days per week. They coordinate radio and data communication traffic according to established federal, state, and local rules and regulations; performs duties of sending, receiving, relaying, monitoring, logging, recording, reporting and interpreting emergency and non-emergency information to and from mobile units or computerized data bases; operates radio and other data transmitting equipment; and provides dispatch communications to troopers and other state law enforcement officers. Additionally, Regional Duty Officers dispatch troopers to collision scenes and other calls for service and provide officers with accurate and timely information necessary for their safety and motorists’ safety. Must successfully complete required training, pass state exam and obtain 911 Public Safety Telecommunicator [911PST] Certification within twelve-months from date of employment. Must successfully complete required training, exam and obtain Criminal Justice Information System Certification within six-months from date of employment. Knowledge and ability to operate Law Enforcement Computer Aided Dispatch, Florida Crime Information Center/National Crime Information Center computer system, Windows based computer system. Ability to speak clearly with good verbal communication skills. Ability to work well in stressful situations. Ability to record relevant information correctly and completely. Preference will be given to applicants with at least one year of work experience performing data entry and at least one year of public contact experience. Preference will also be given to applicants that hold a Valid 911PST Certificate. This position is rotating days off and has permanent shifts. Selected applicant(s) will be working holidays, weekends and emergency situations. A complete background, criminal record check, drug screen and Florida driver license check will be conducted on the selected applicant(s).The selected applicant must pass a Criminal Justice Information Services (CJIS) criminal history background check.